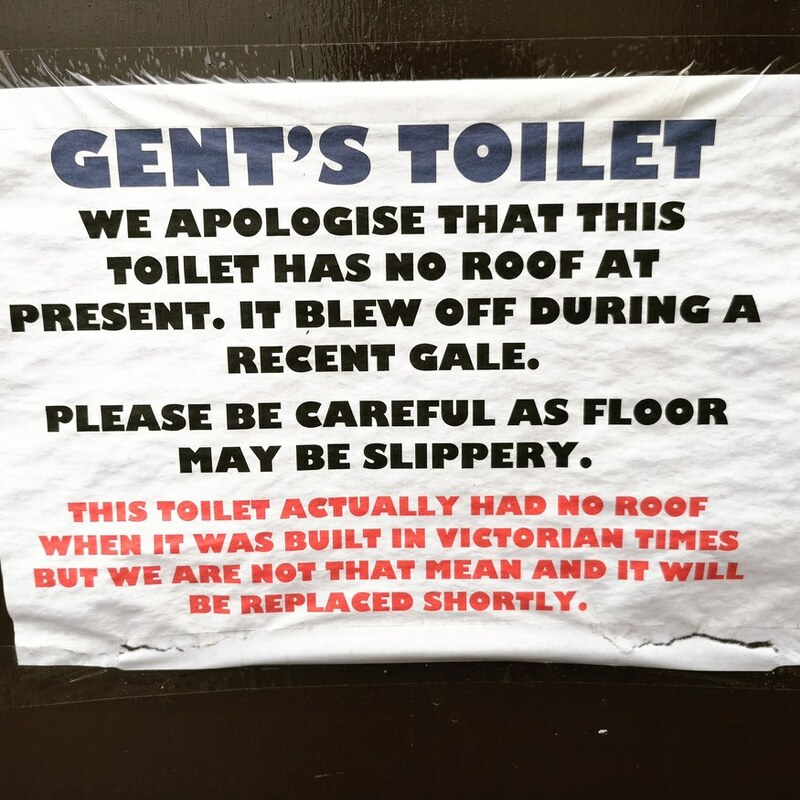 We love us a good comical sign, and this one — spotted recently on the door of the gents at Ongar station — ticks all the boxes. The British apology. The wry humour. The historical titbit. The grocer's apostrophe. Tick tick tick tick. Ongar's station, by the way, is one of the pleasantest you'll find in this part of the country — now part of the Epping Ongar heritage train route. Fingers cross that next time you're here, they'll have fixed a roof back on. Pedant's note: Ongar lies outside the Greater London boundary, although until 1994, it was part of the Central line — therefore making it plenty Londony enough for us.